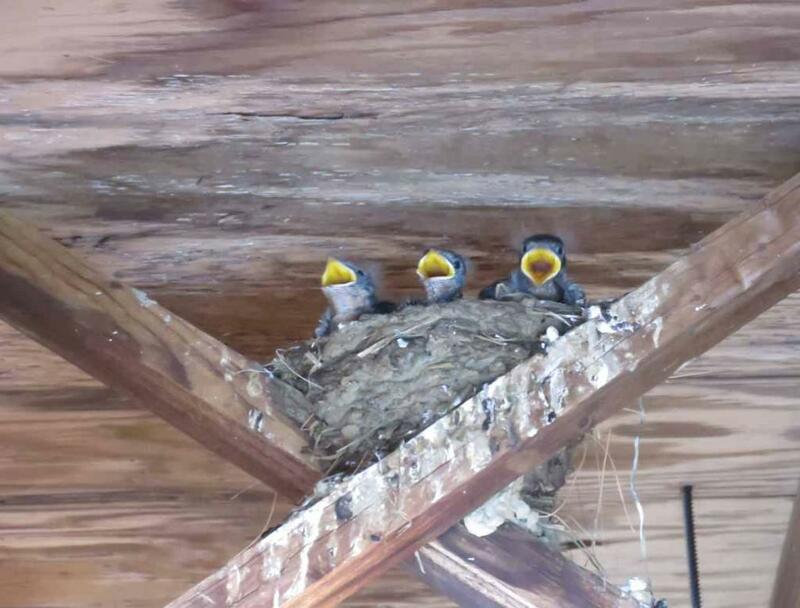 existing cavities (typically made by a woodpecker) of old trees. 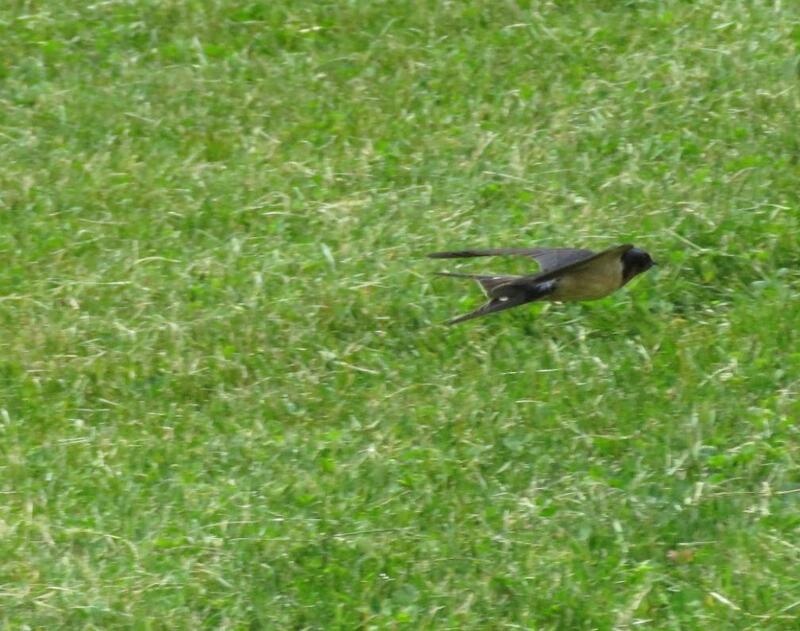 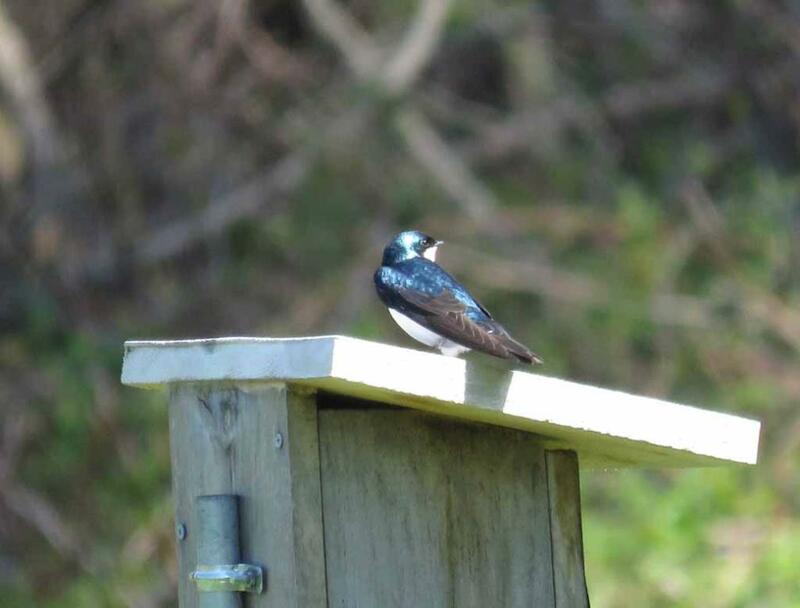 Many swallows with forked tail, white rump and shaped wing are flying in Holmdel Park in New Jersey. 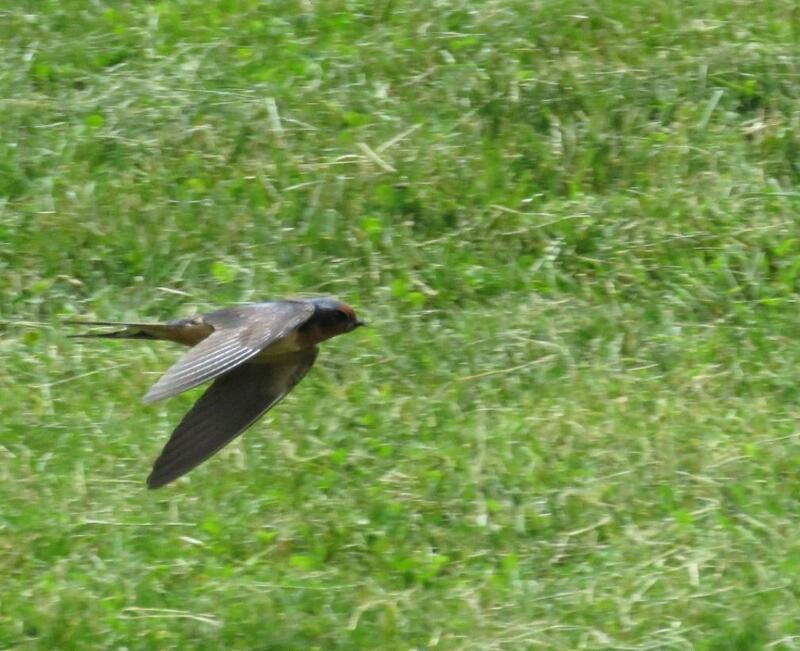 try to take good pictures of such fast and erratically flying swallows. 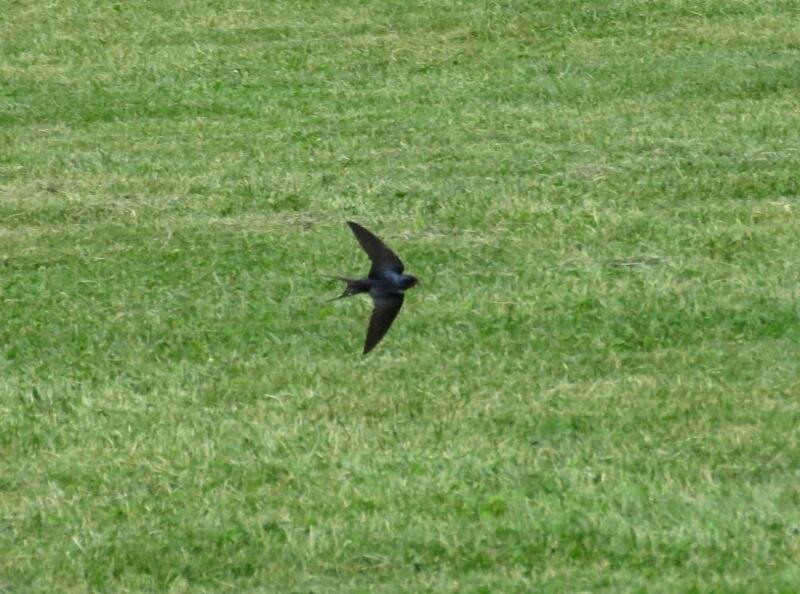 turns, enabling it to catch flies and other insects on the wing and in great numbers. 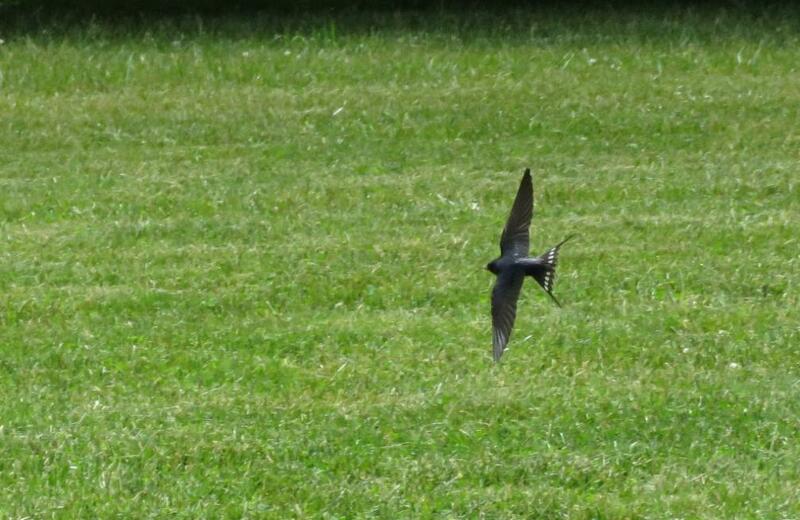 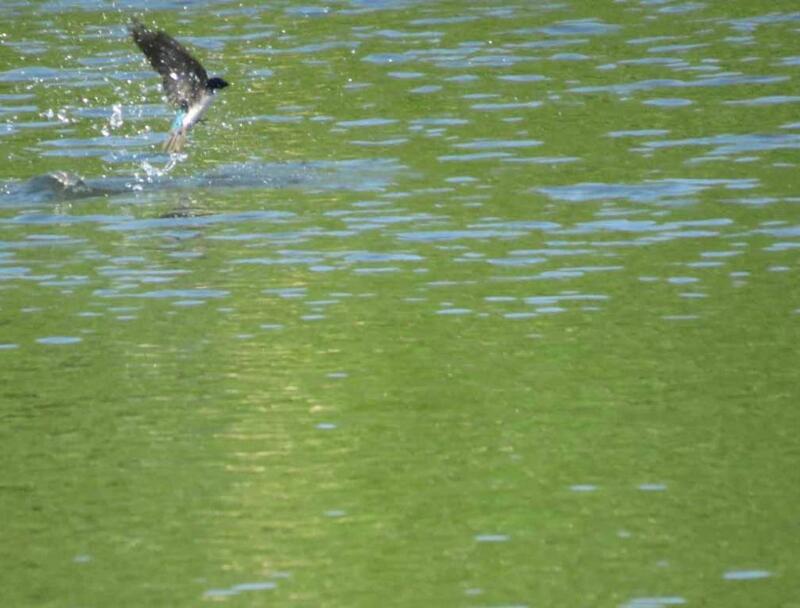 Swallow flying with steely blue-green feathers flashing in the sunlight.. 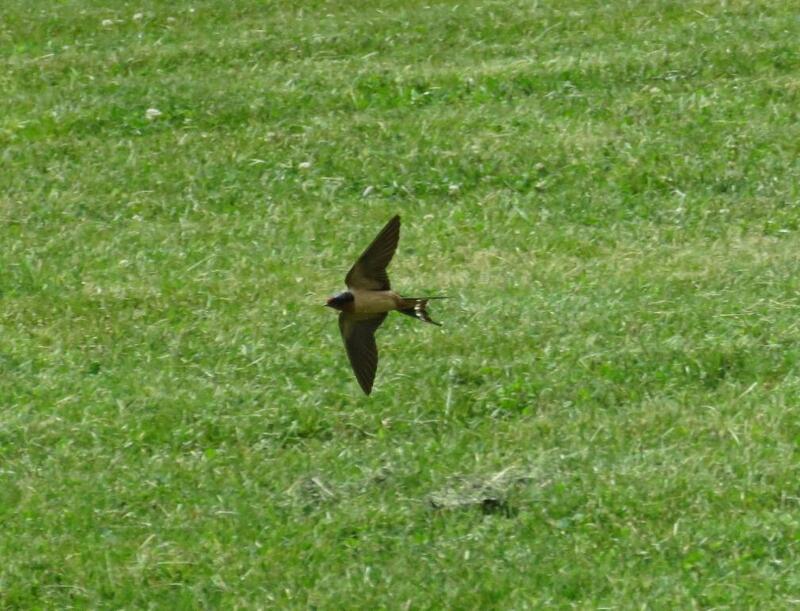 Swallow with deep forked tail and long streamers. 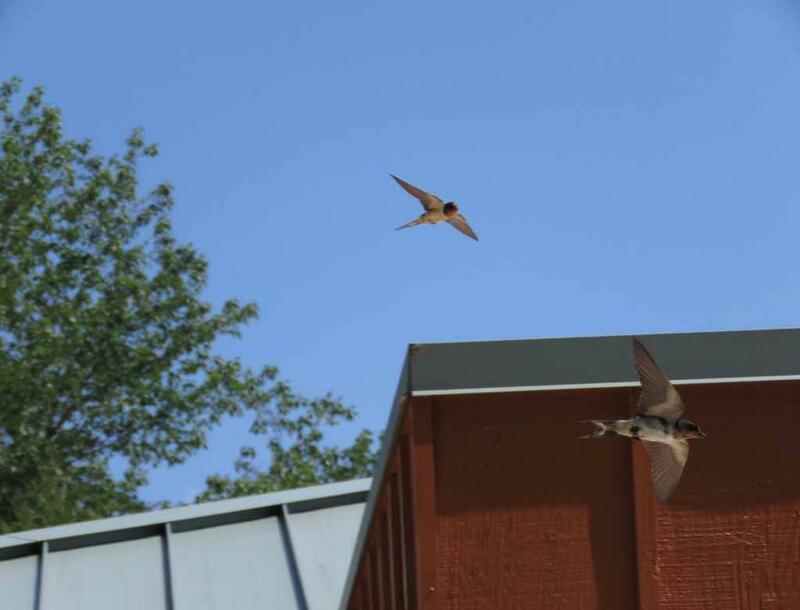 Handsome aerialists, swallows are fast flier and glider with loud screaming calls. 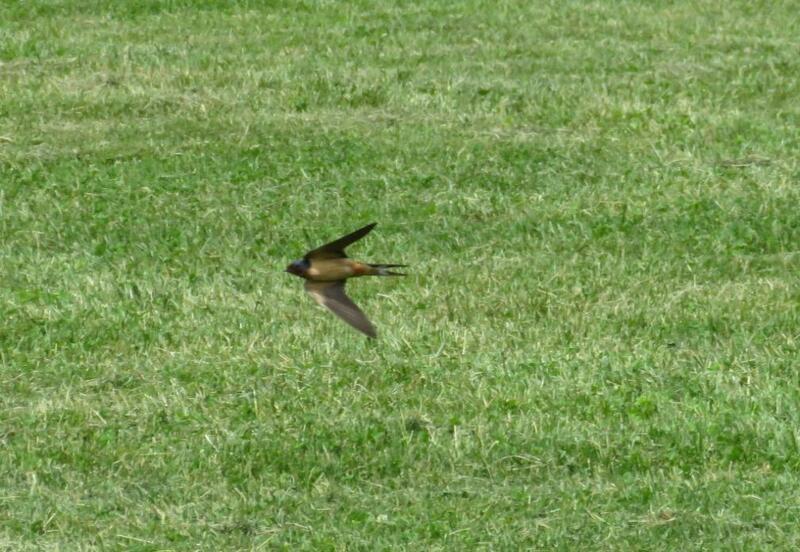 Some swallows glide just a few inches over the pond if that's where the insects are! 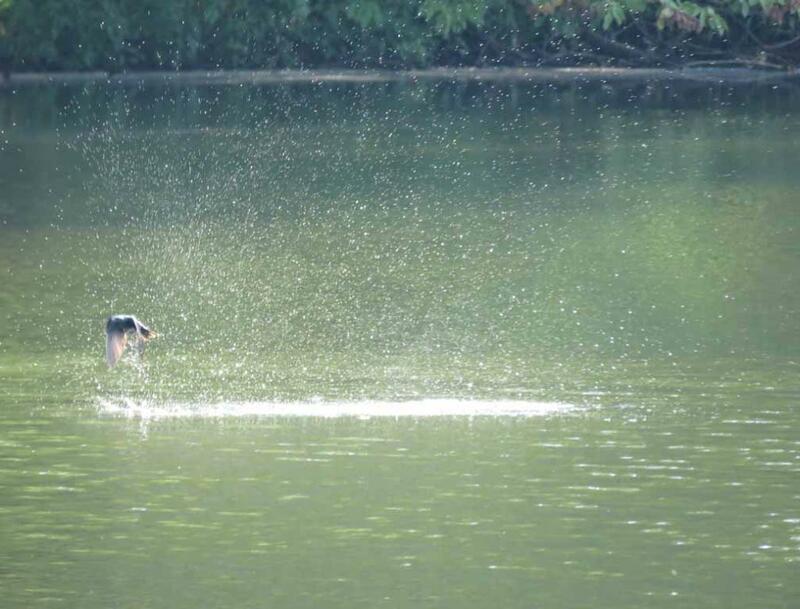 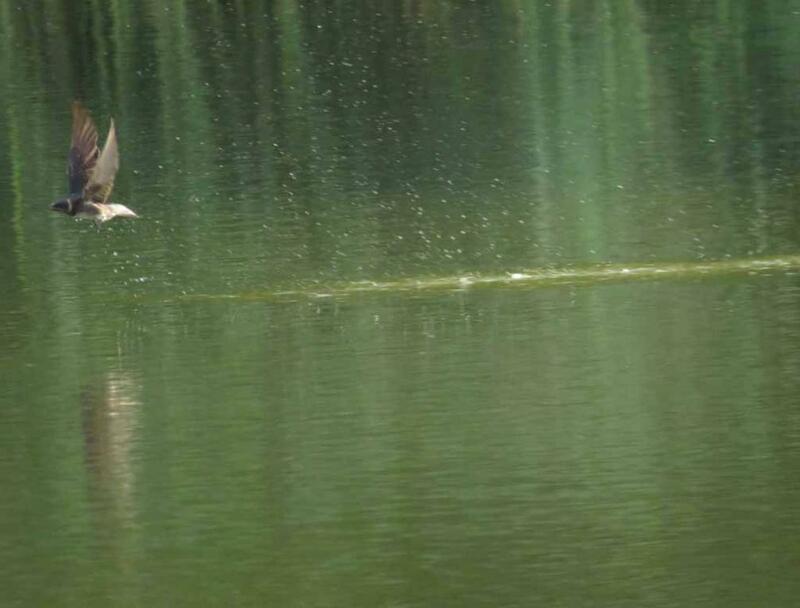 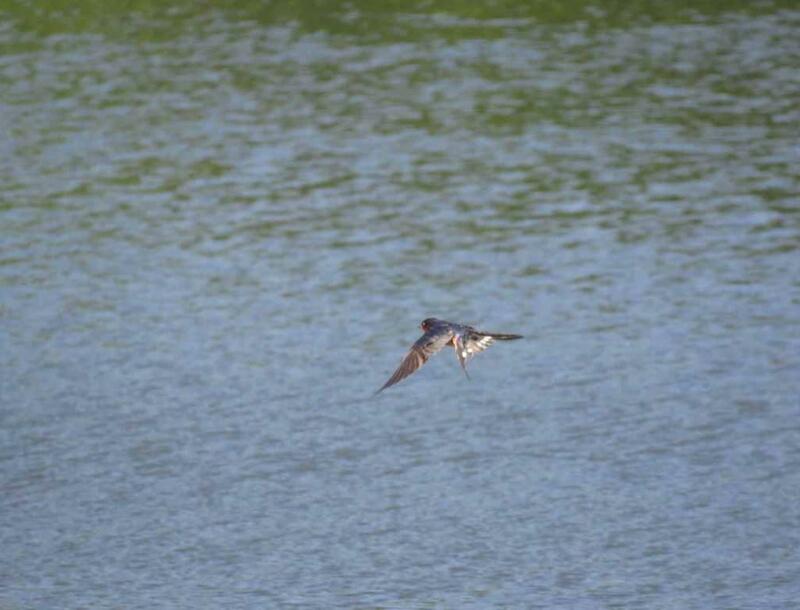 Swallows drink and bathe on the fly (some call it water skiing). 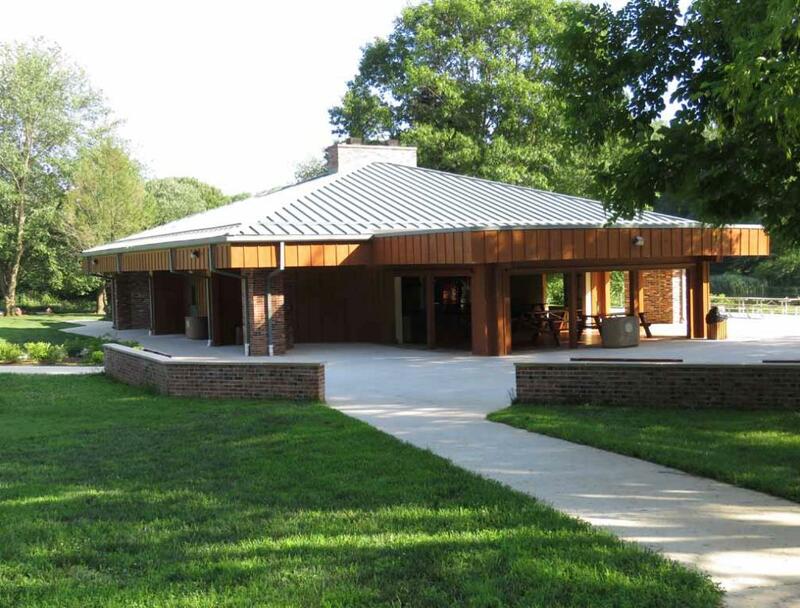 The Shelter Building near the pond in Holmdel Park. 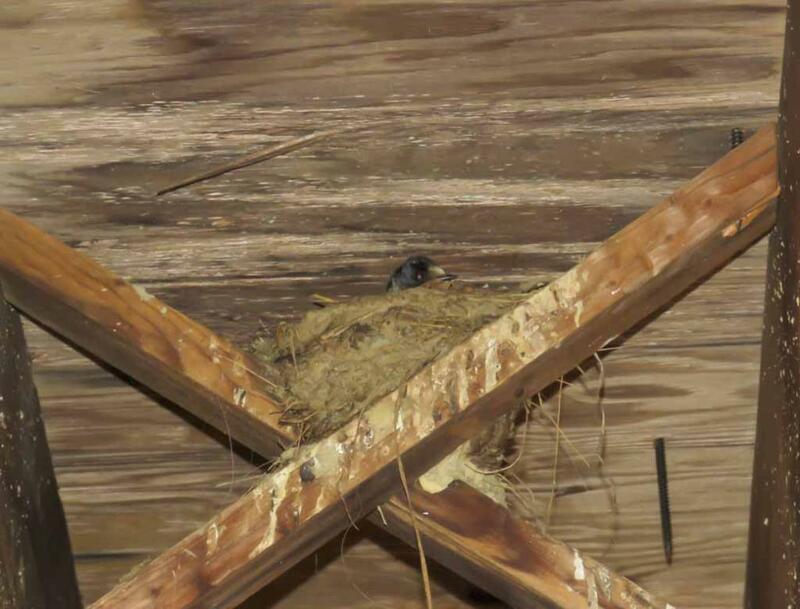 The pair of swallows has built a nest on the ceiling rafters of the Shelter Building in Holmdel Park. 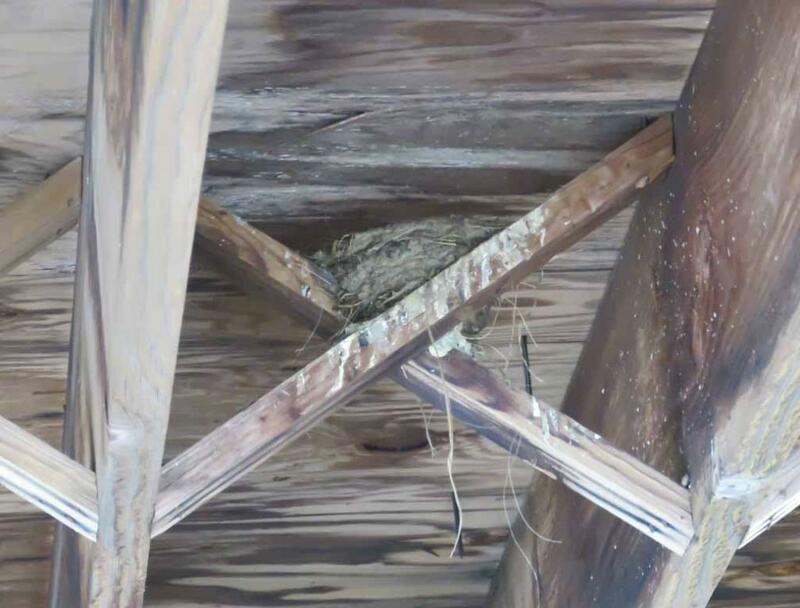 In June 2015, a swallow was often sitting in this nest, probably was hatching eggs. 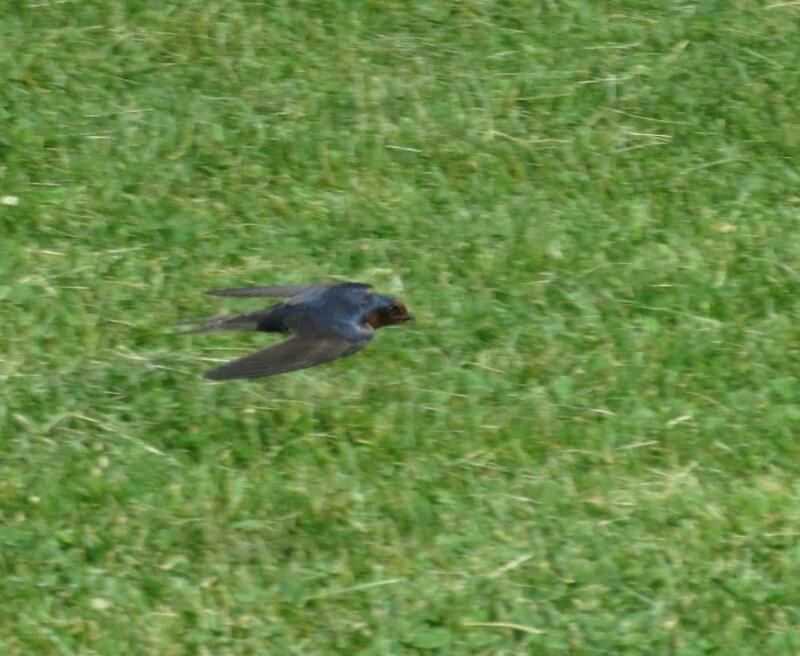 when the parent swallows come back with captured insects to feed them. 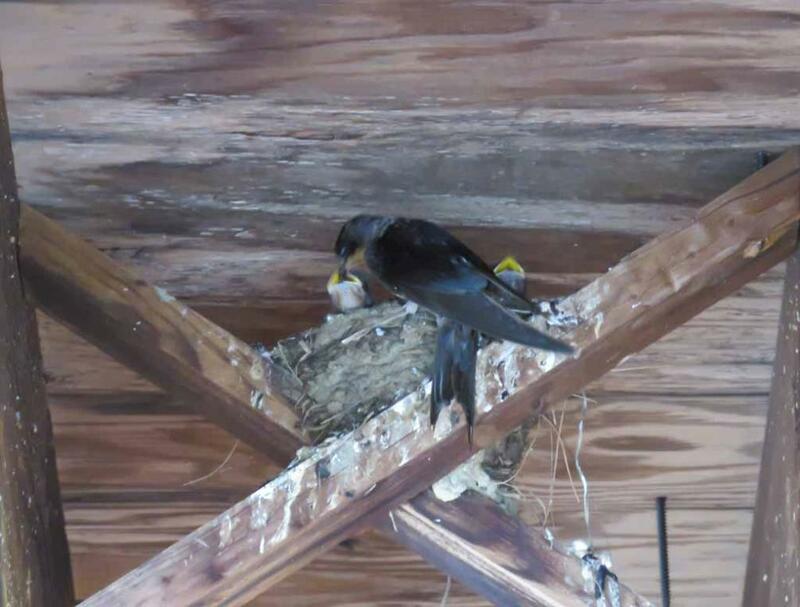 Every few minutes, one of the parent swallows will come back with insects to feed the babies in the nest. 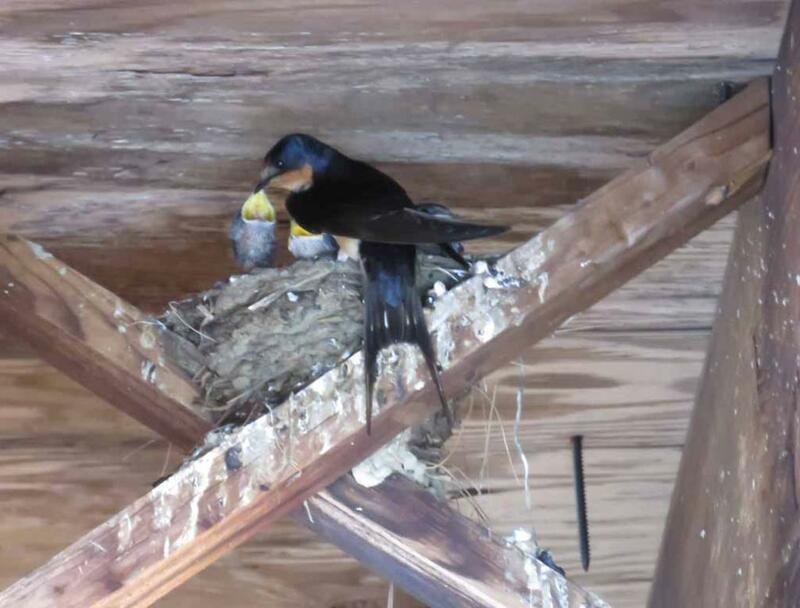 Sometime both parent swallows come back to the nest at the same time to feed the hungry babies. 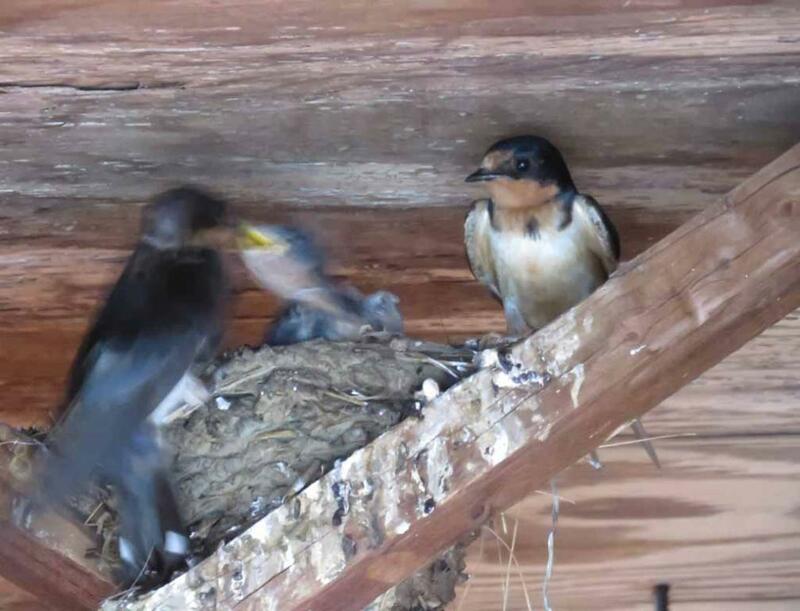 these swallows are in action. 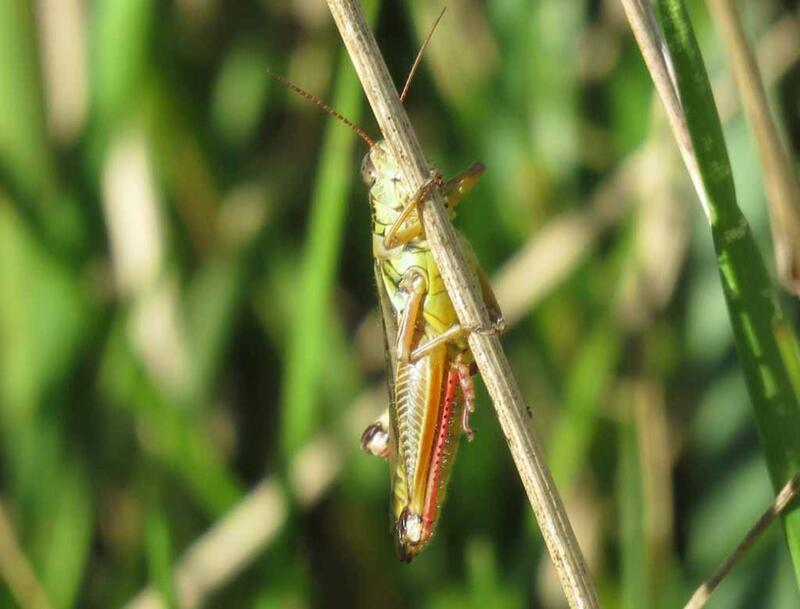 insects not just to feed themselves but also to feed their hungry and rapidly growing babies in the nests. 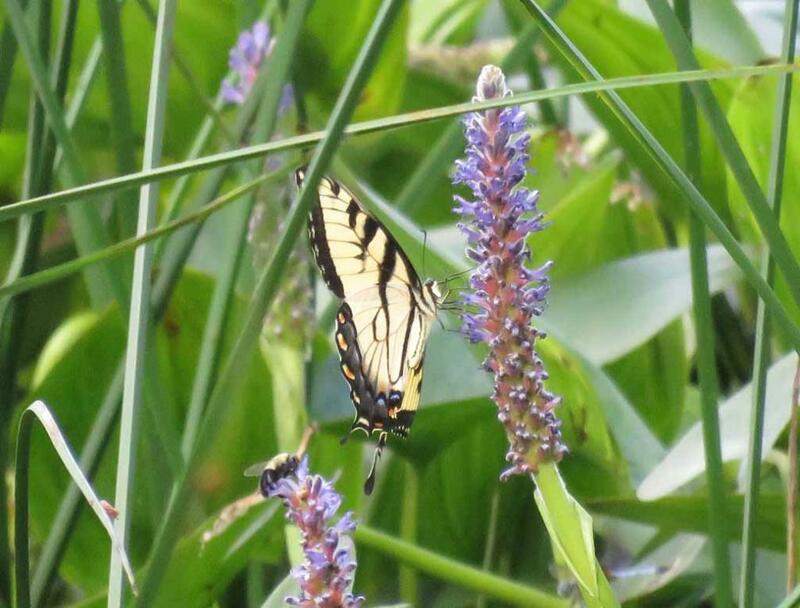 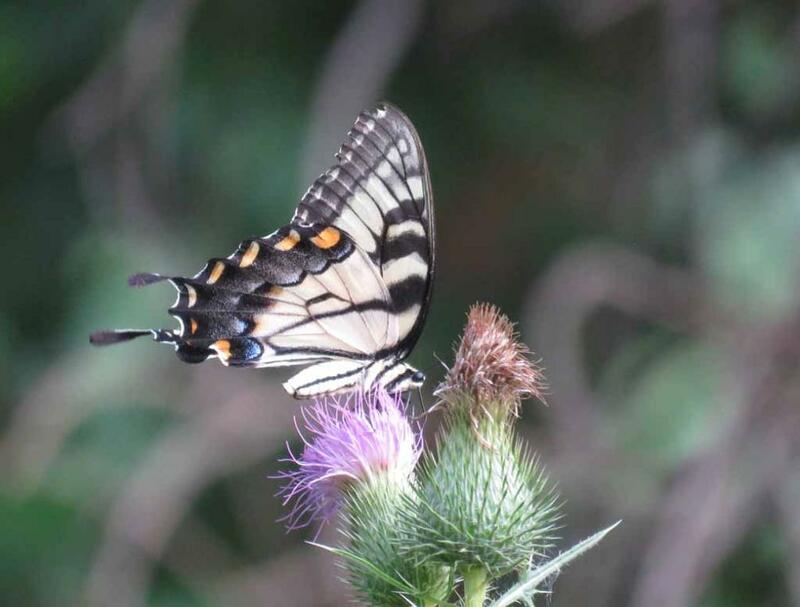 Beautiful Tiger Swallowtail butterfly in Holmdel Park. 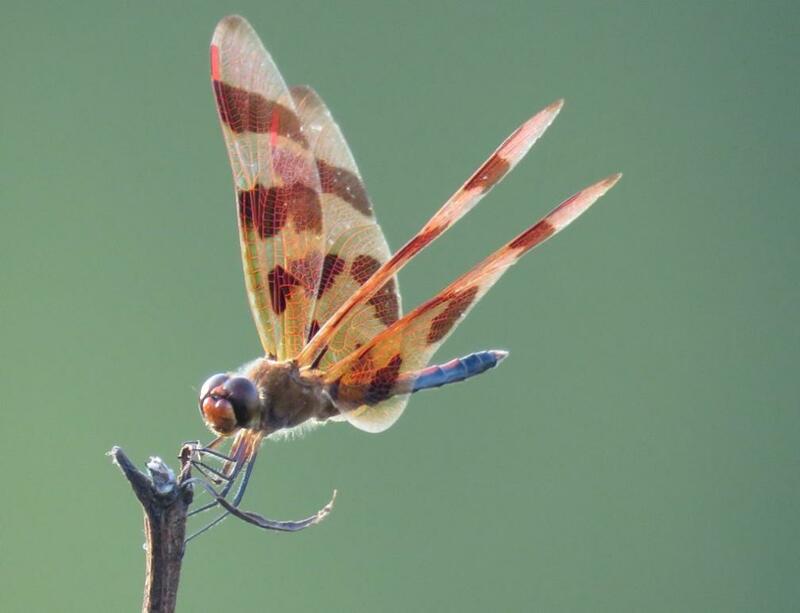 Another kind of dragonfly in Holmdel Park. 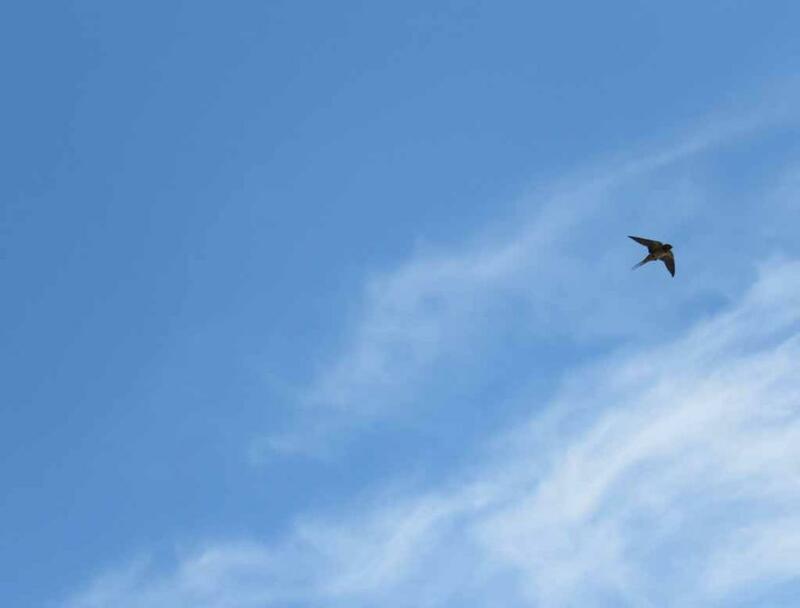 Sometimes swallows fly high in the sky if that's where the insects are! 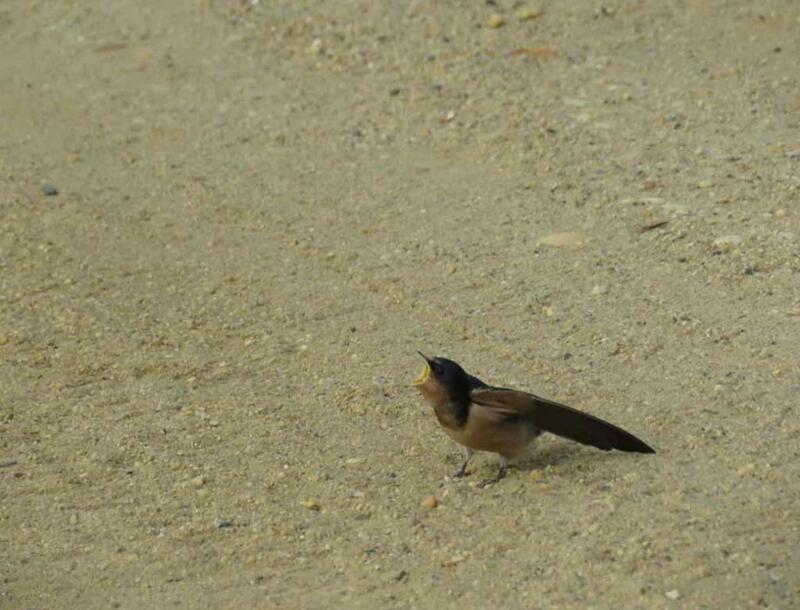 Swallow calling on the ground. 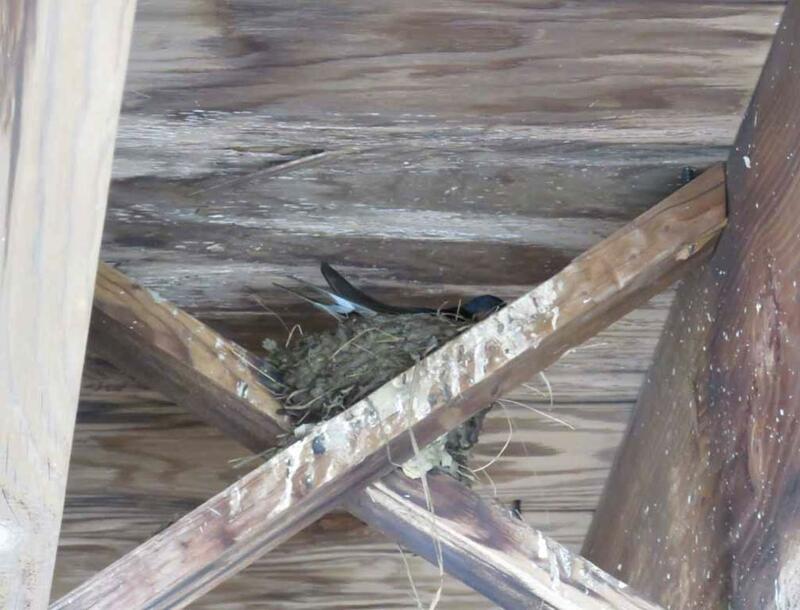 A pair of swallows was busily flying in and out of this Shelter Building and attracted my attention. 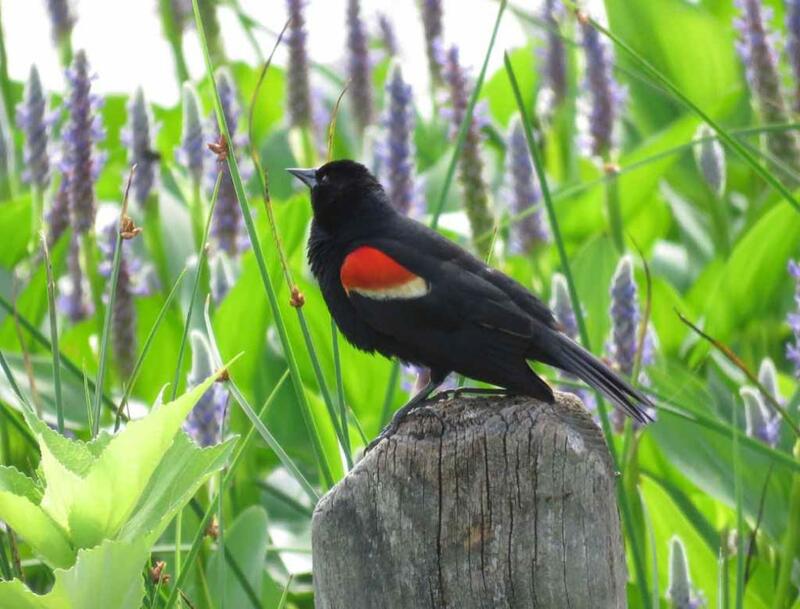 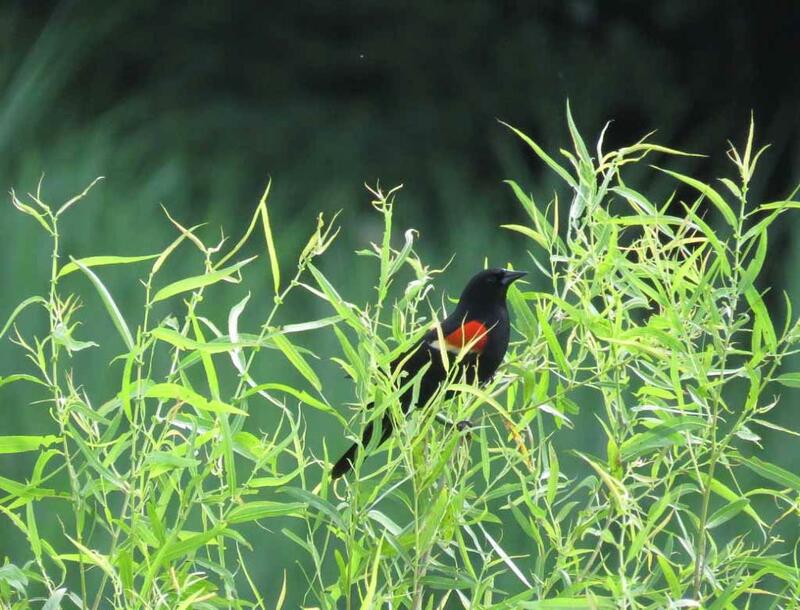 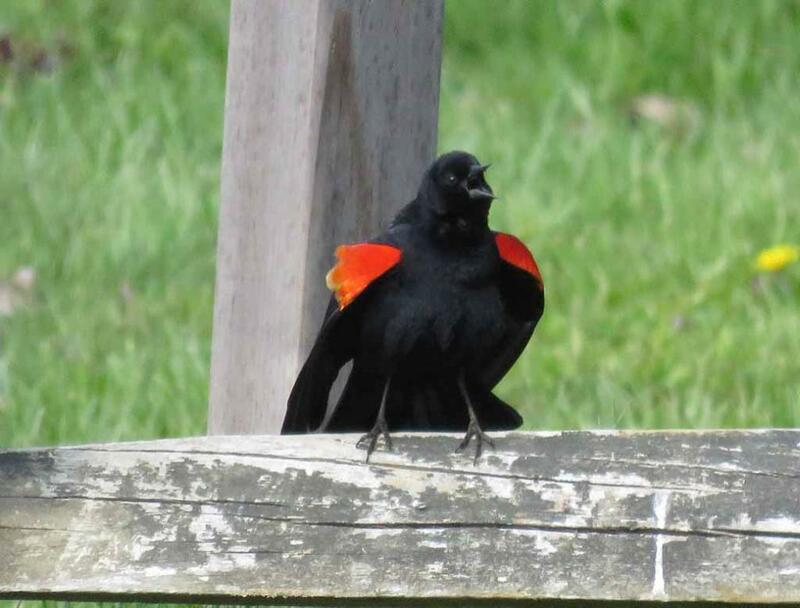 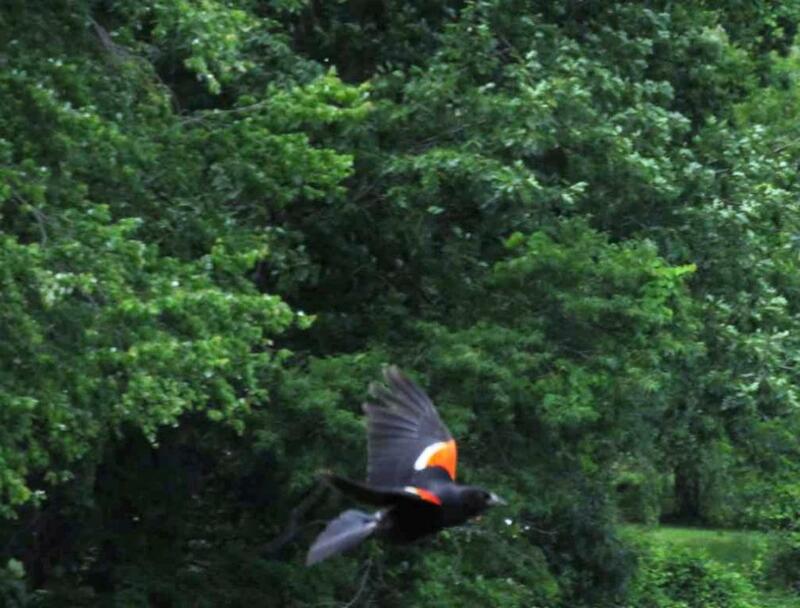 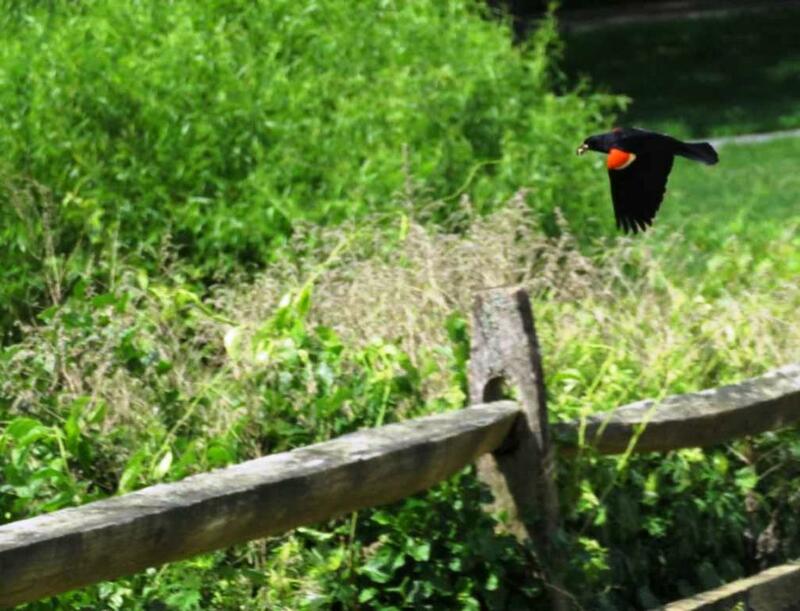 One of many red winged black birds in Holmdel Park. 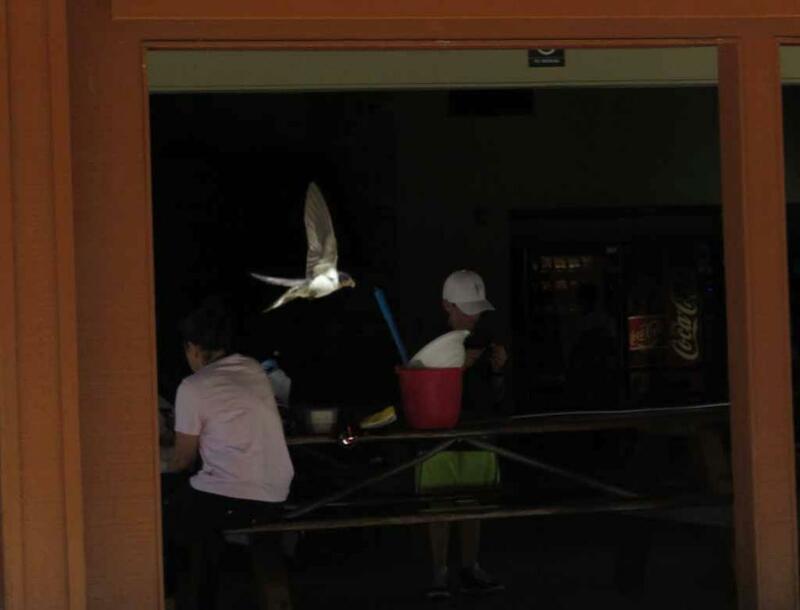 scoop up water with open mouth, then rise quickly while shaking off water droplets. 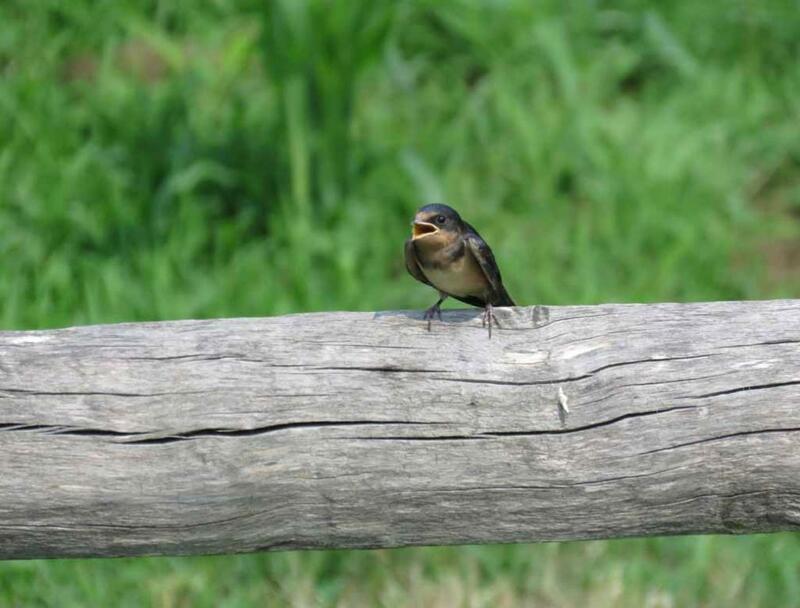 Swallow calling on the rail. 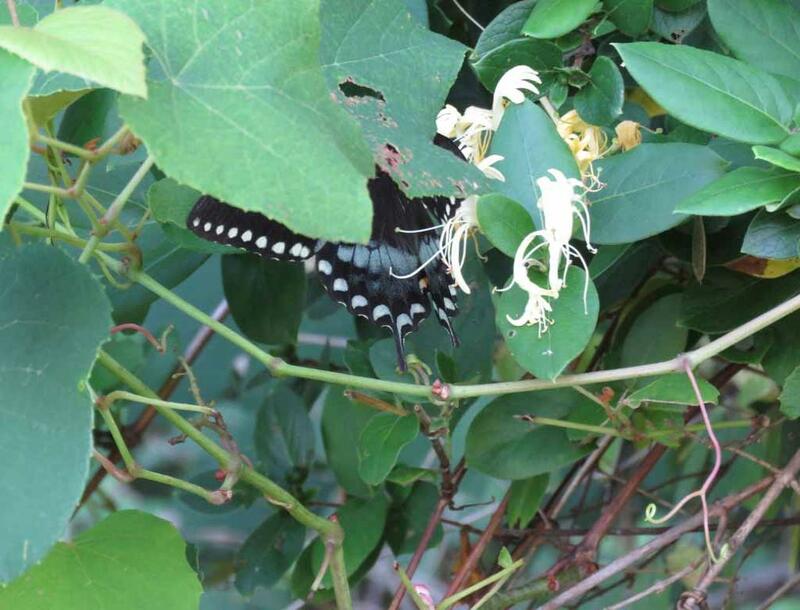 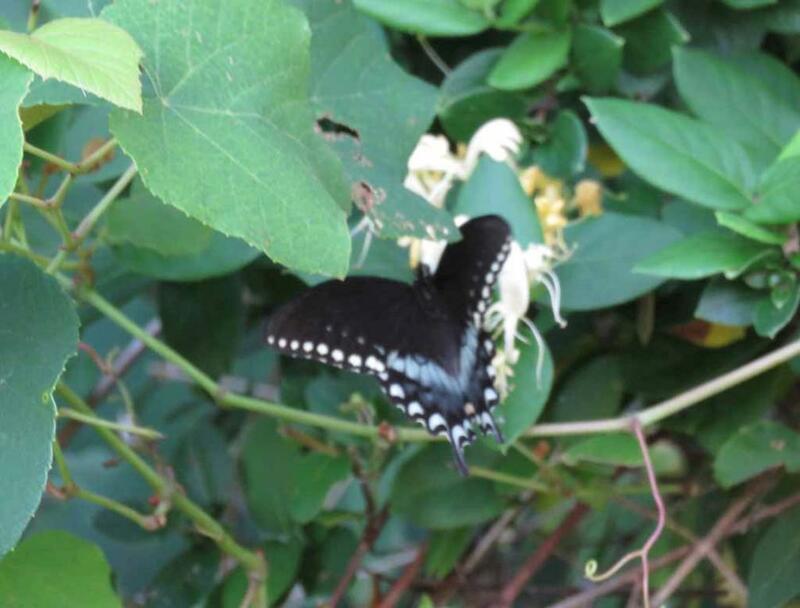 May be Black Swallowtail butterfly in Holmdel Park. 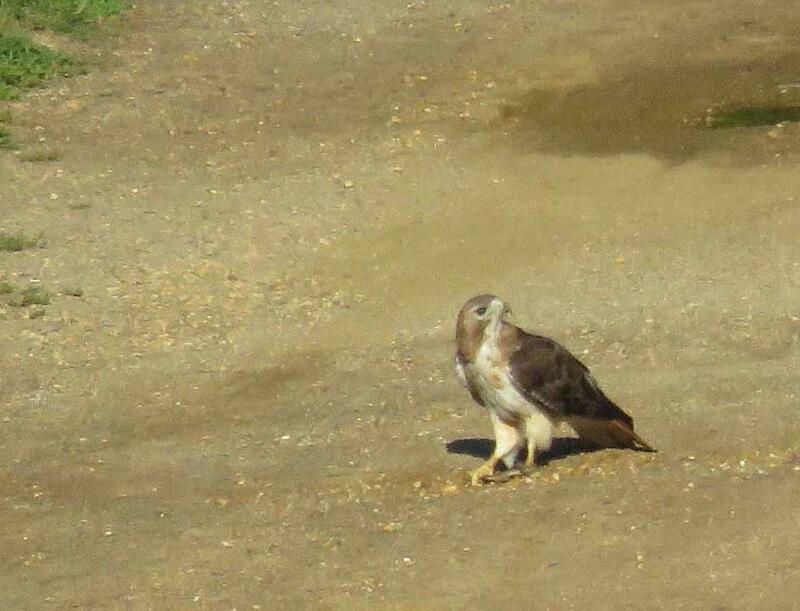 hawk caught something in its talons on the ground. 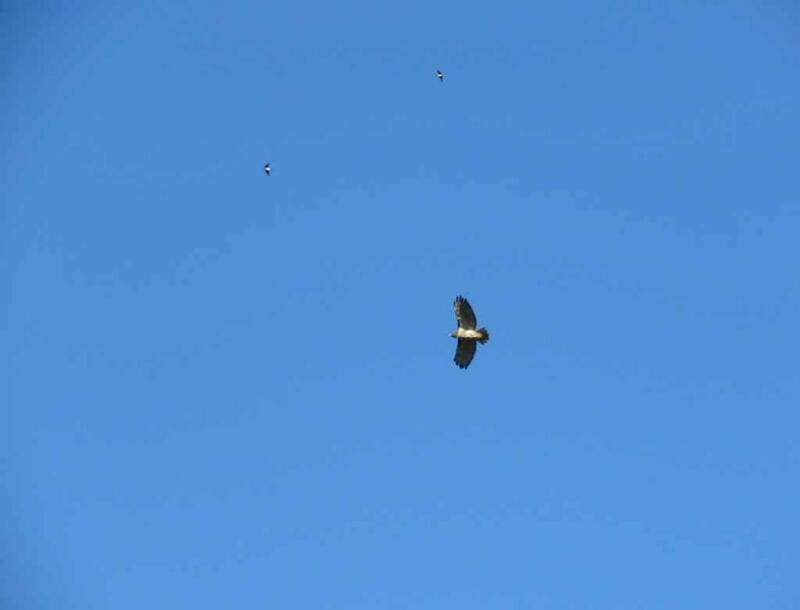 It seemed that what the red tailed hawk just caught was a snake. 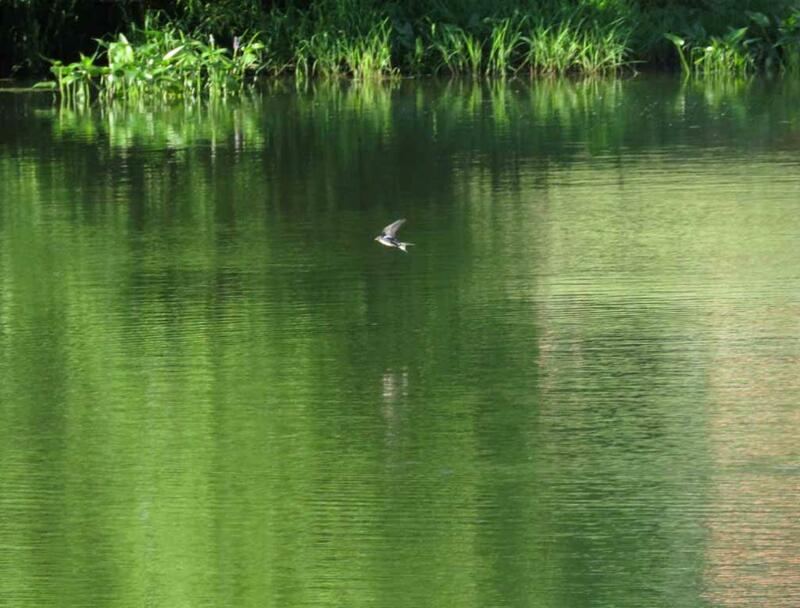 Yes, in last couple years, some people fishing in this area told me that there is a snake in this area. 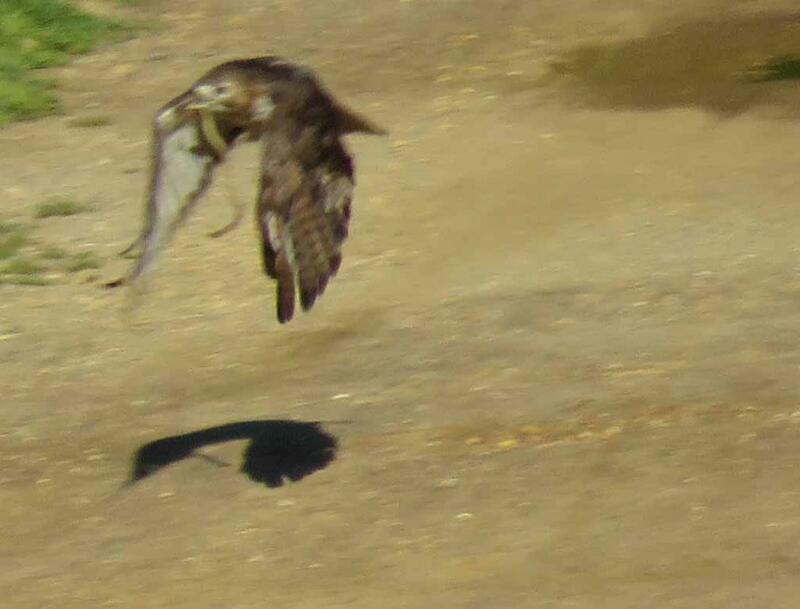 Then the hawk took off with the snake and disappeared into the woods. 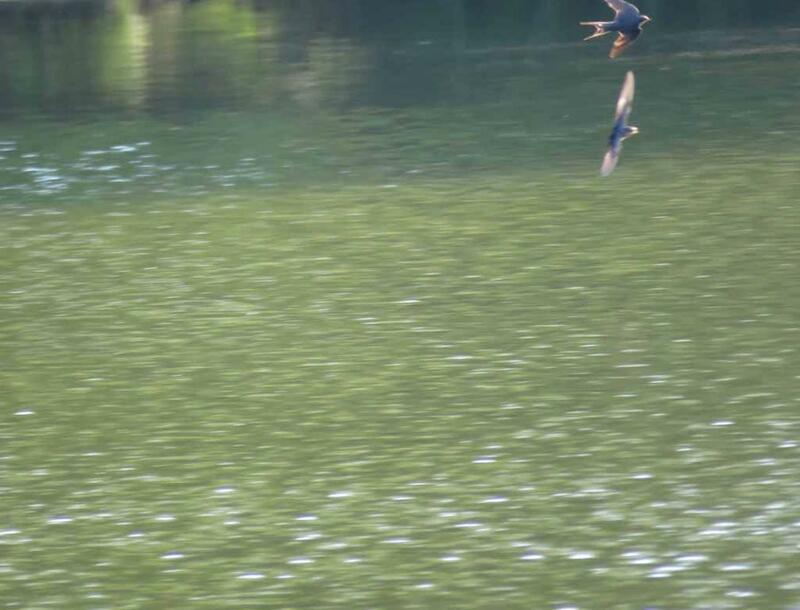 too long. 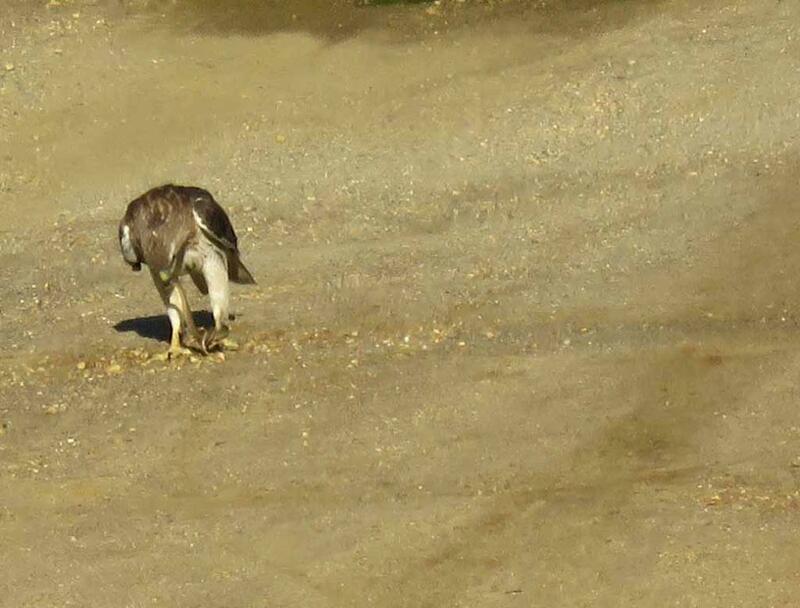 The hawk had to carry the snake into the woods and spent some time on a tree to eat the snake. 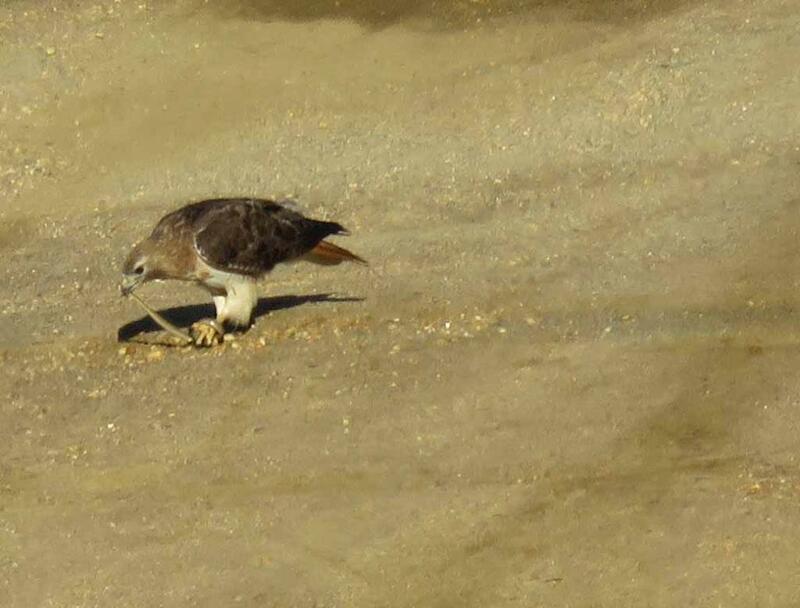 The hawk was busy working for a while on what it just caught. 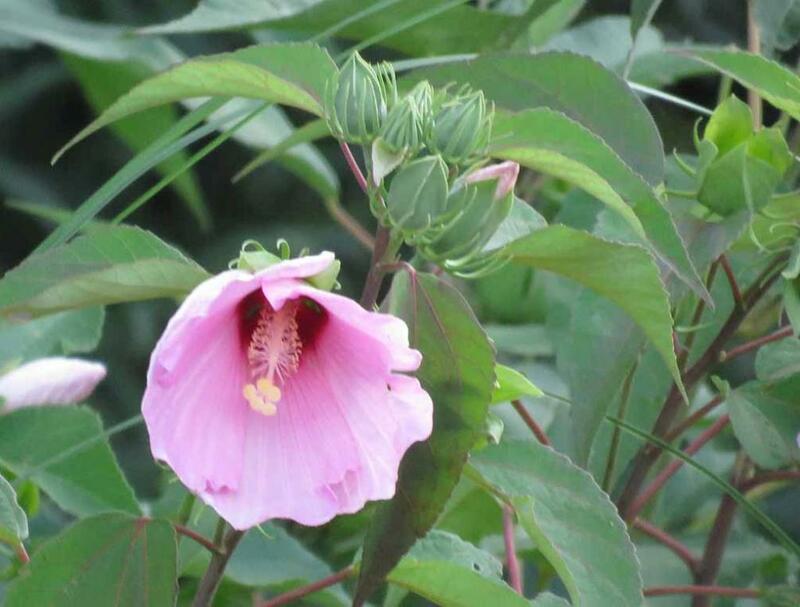 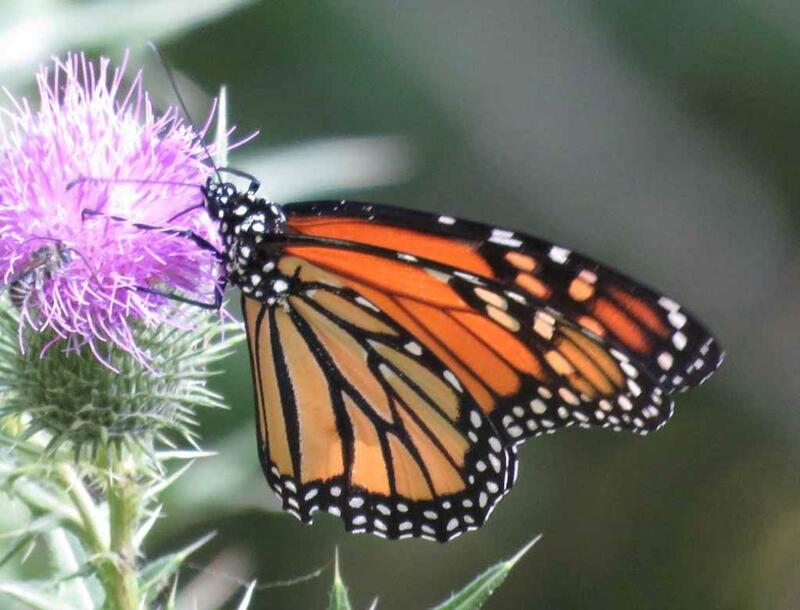 grounds in the highlands of Central Mexico, the Kingdom of the Monarchs!. 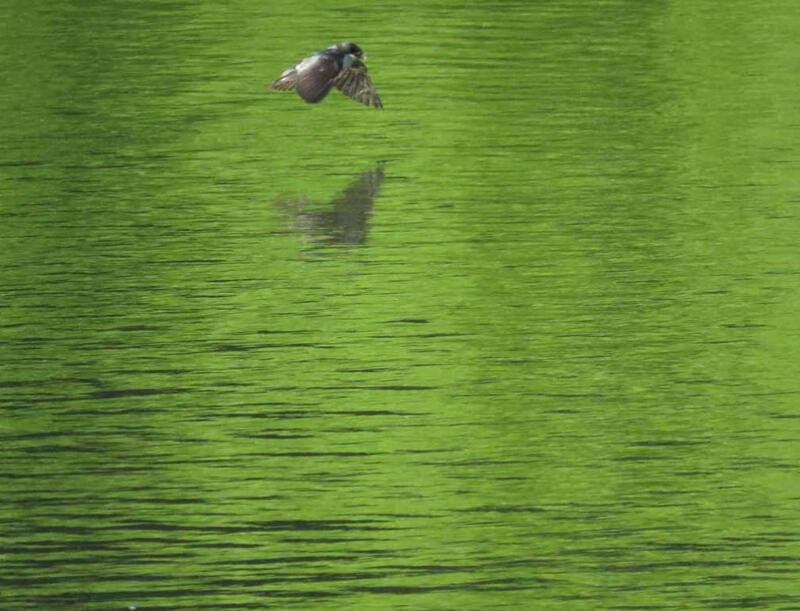 on that particular day alone. 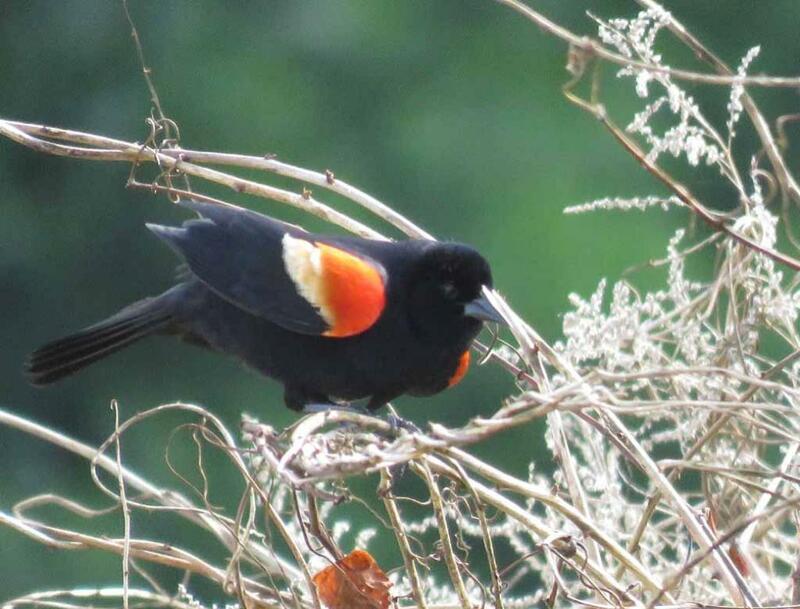 roosting site in the volcanic mountains of central Mexico. 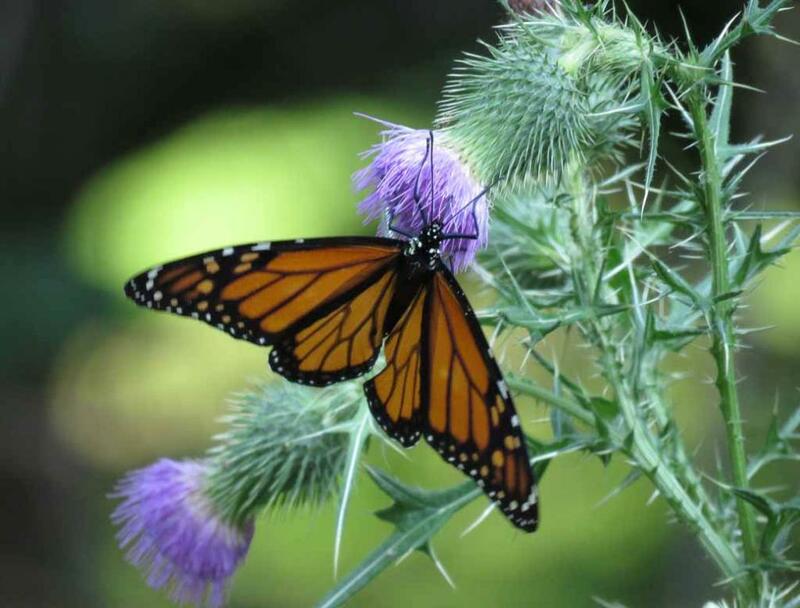 fir forests to spend the winter, even though no monarch butterfly lives to make the full round trip. 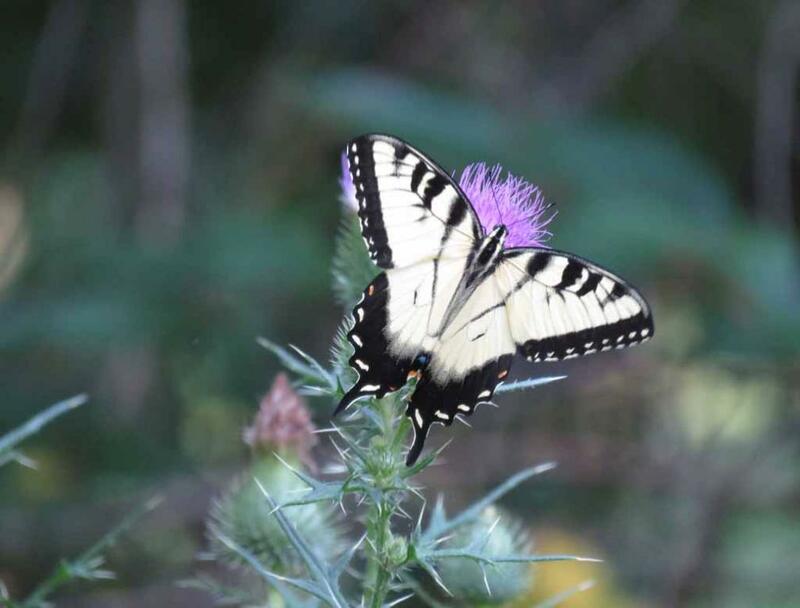 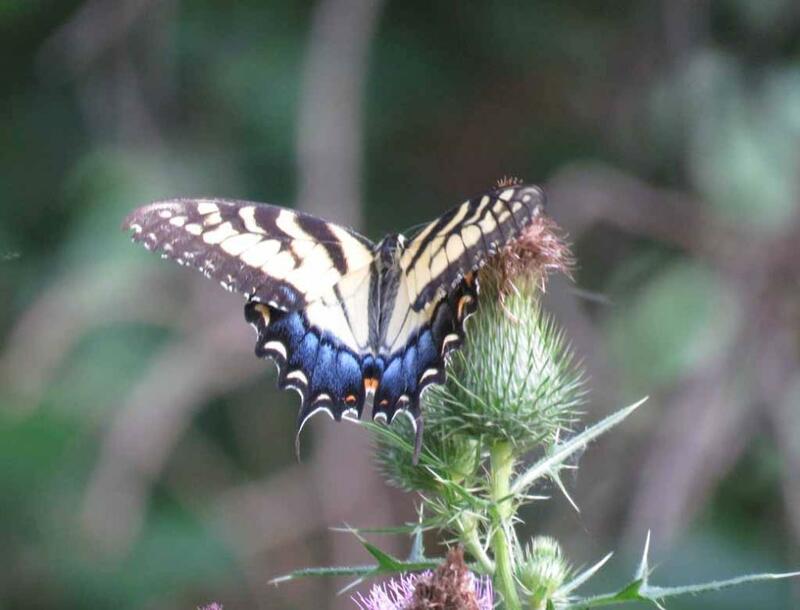 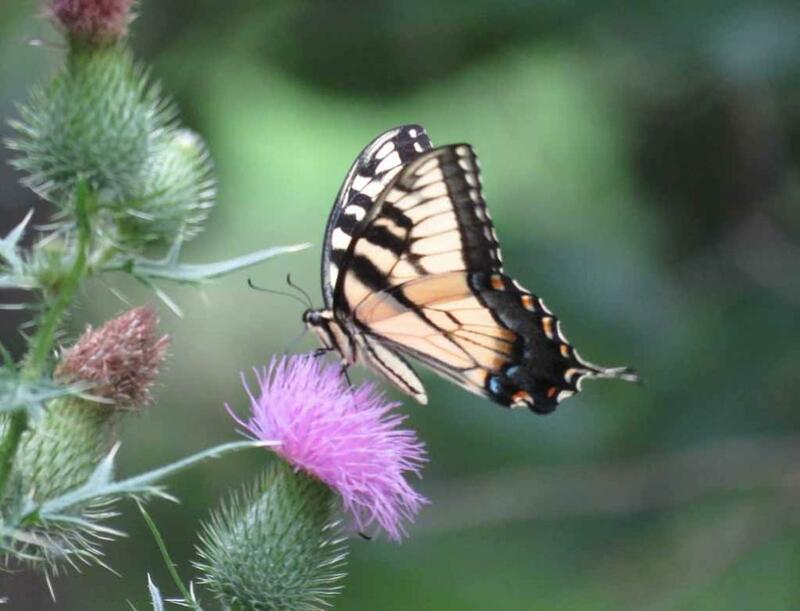 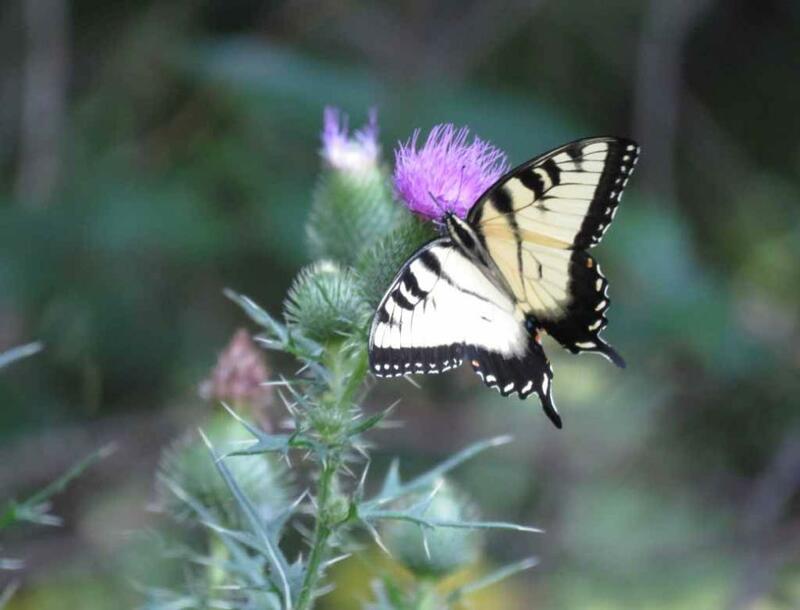 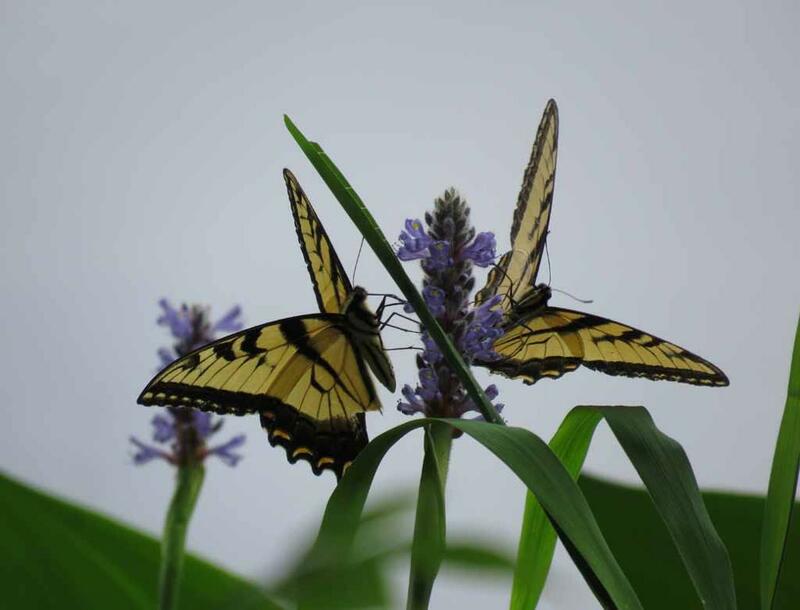 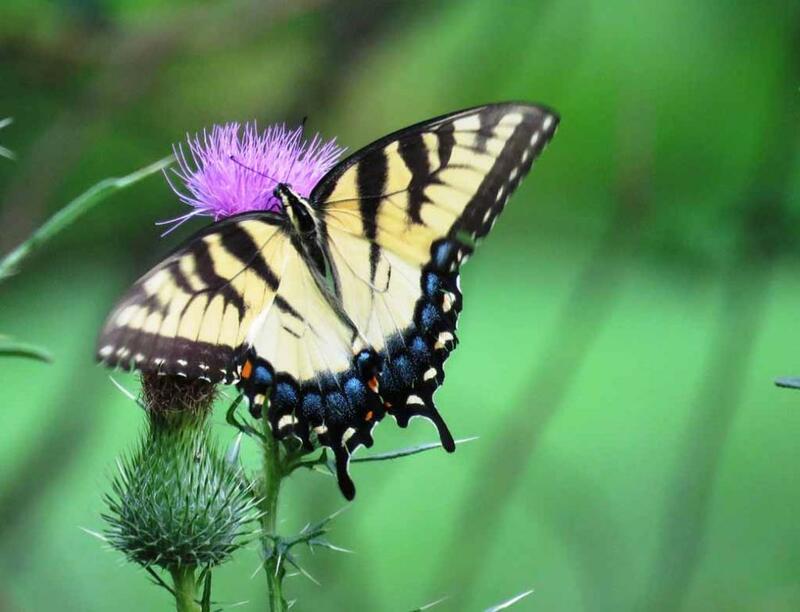 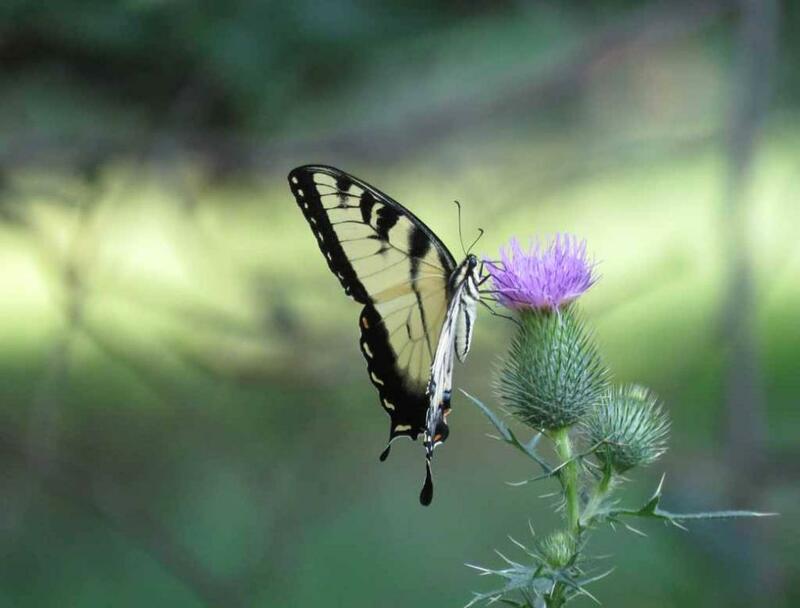 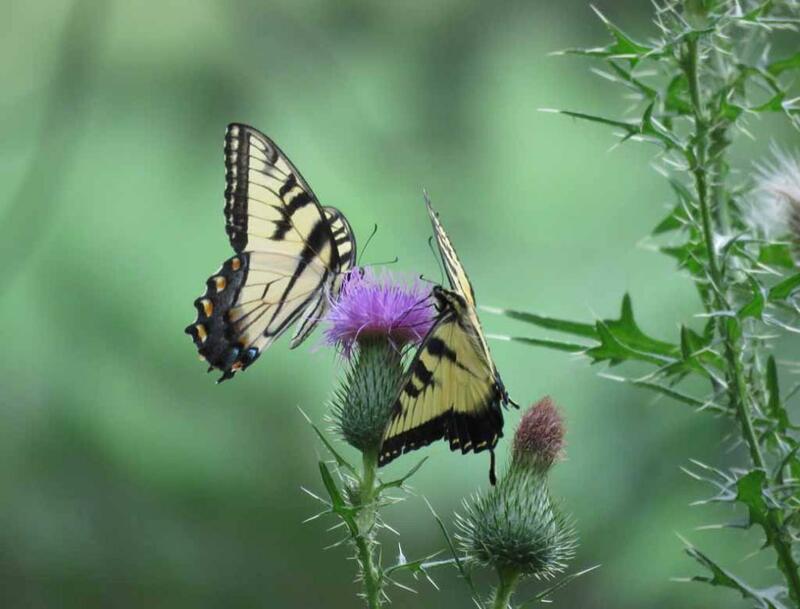 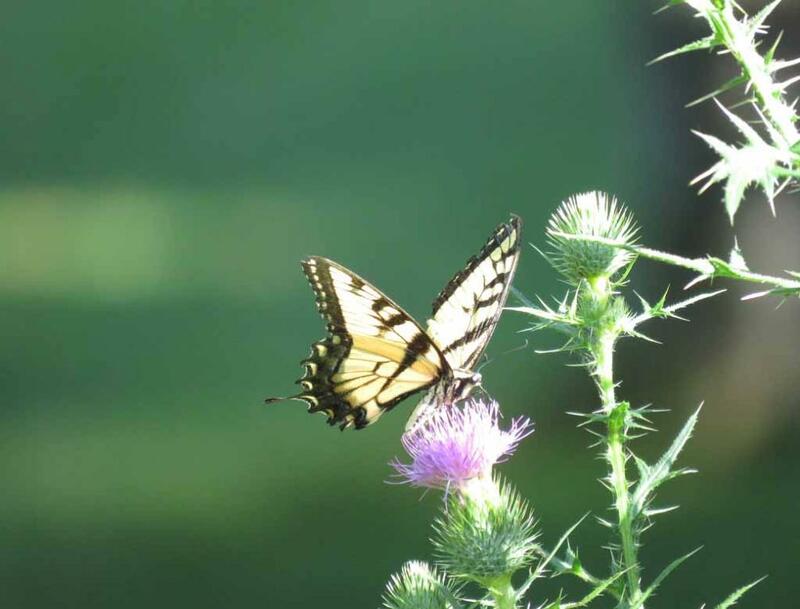 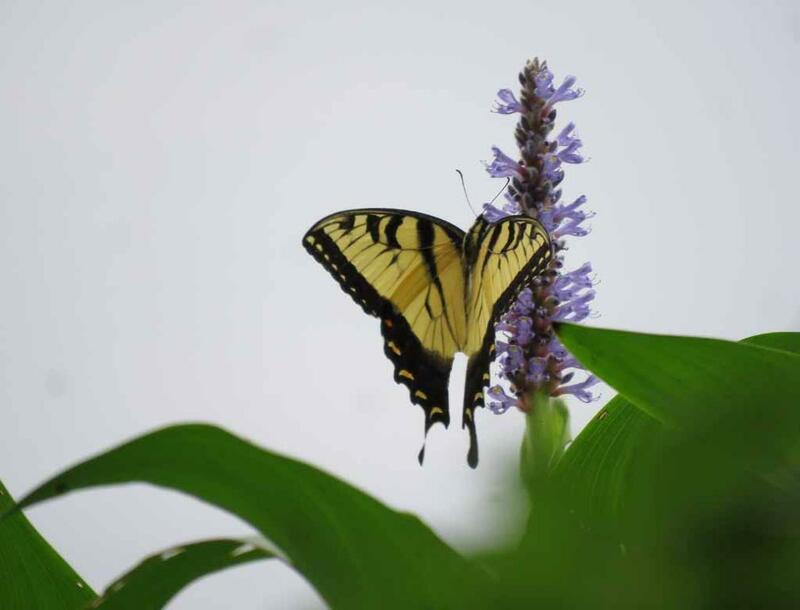 The Tiger Swallowtail butterfly in Holmdel Park. 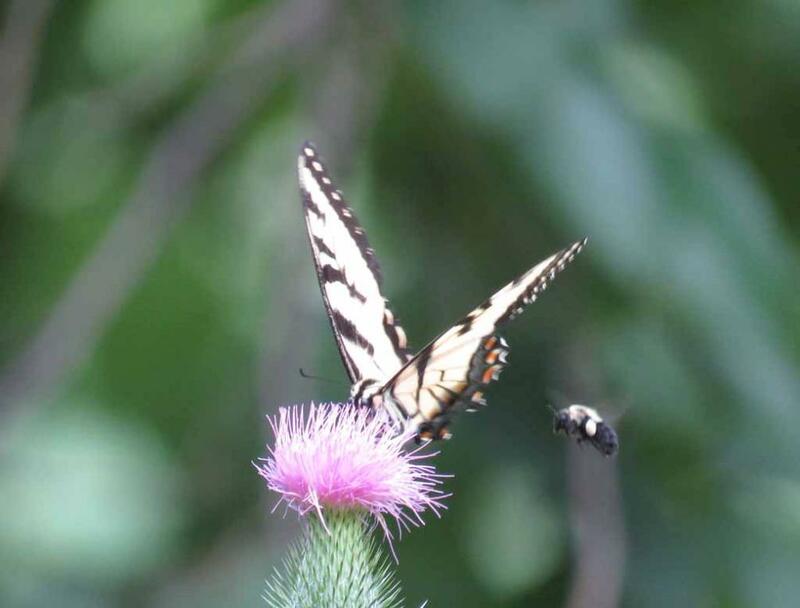 The butterfly and bumble bee. 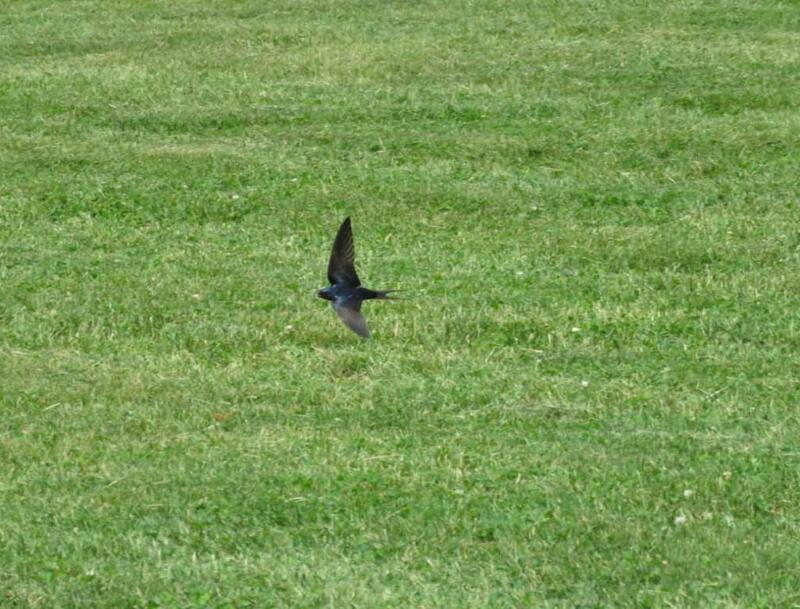 over the large grass field in Holmdel Park. 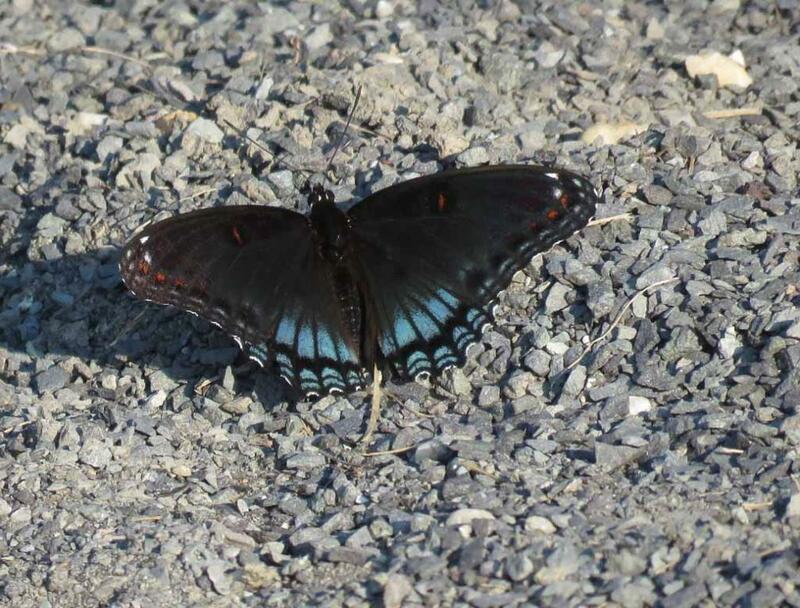 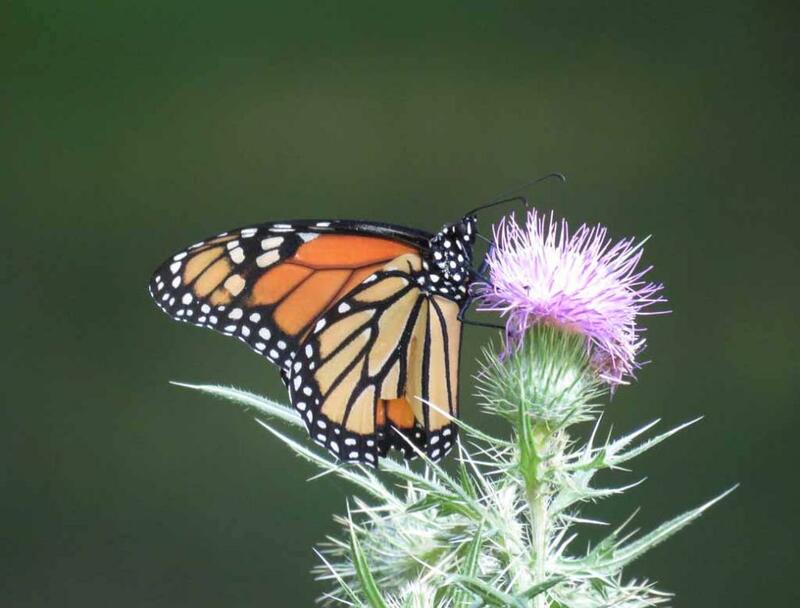 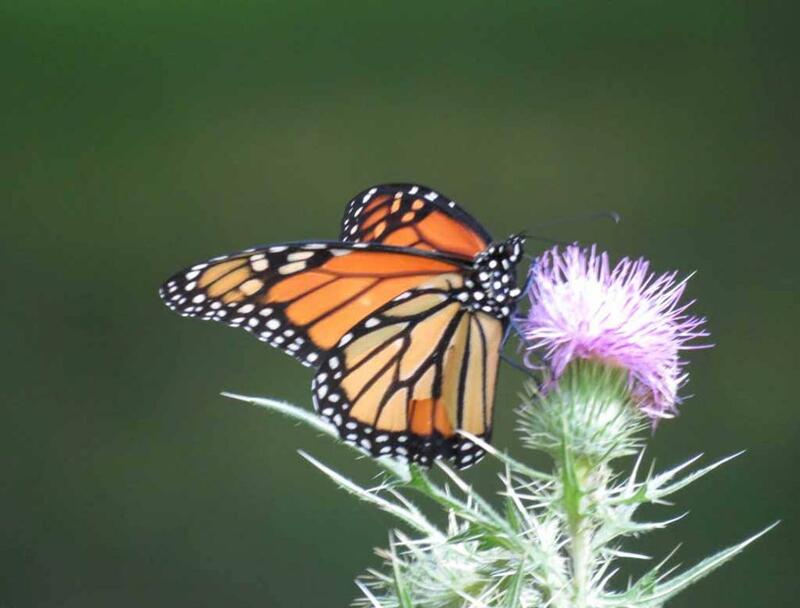 Another kind of butterfly in Holmdel Park. 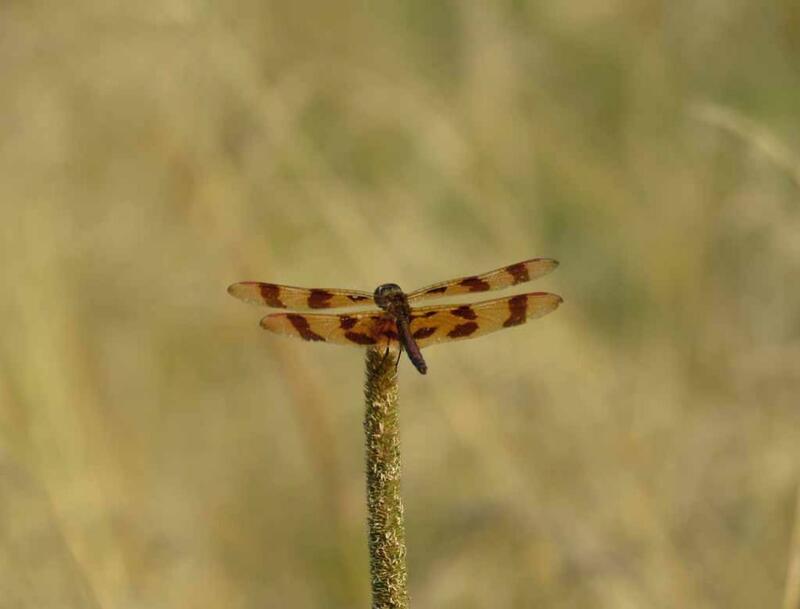 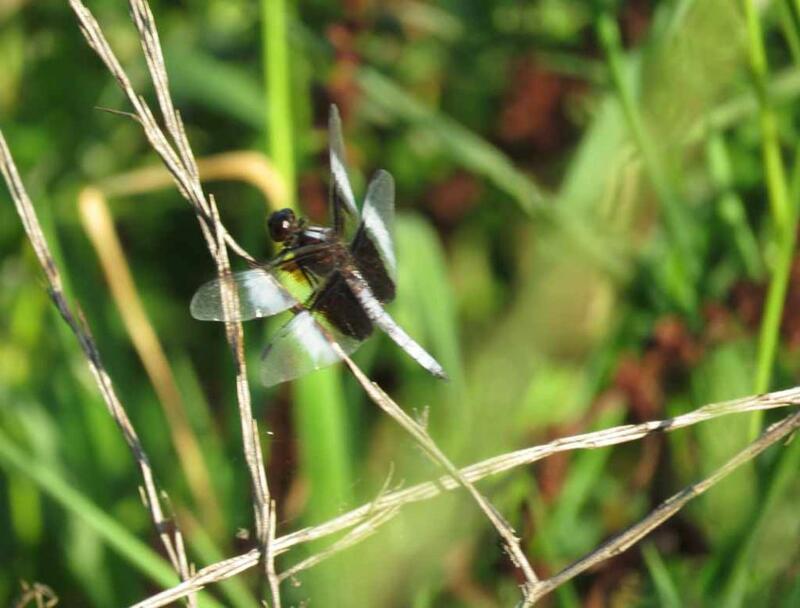 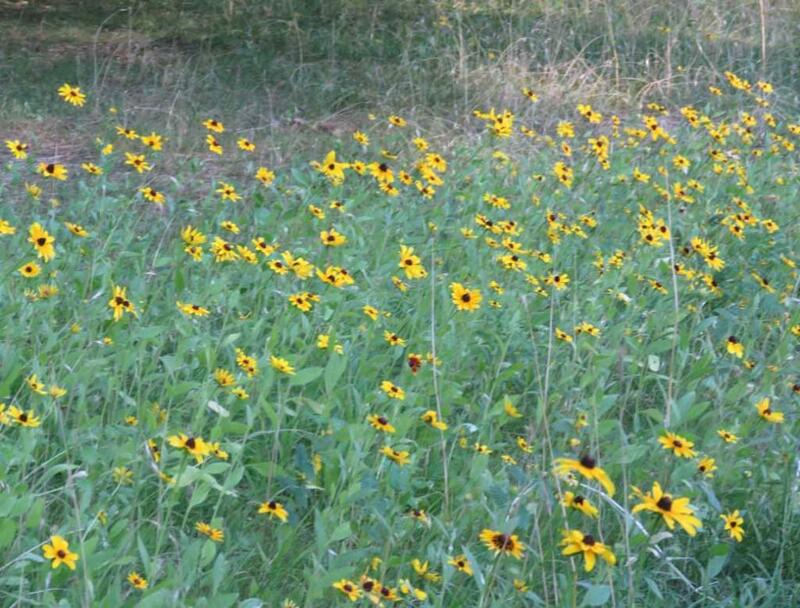 grasshoppers and dragonflies show up in Holmdel Park in mid-September. 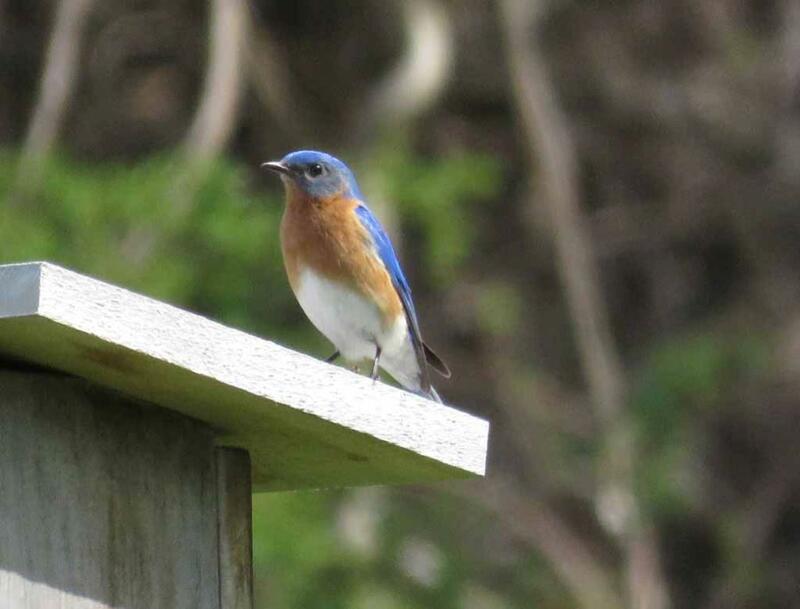 many other kinds of birds. 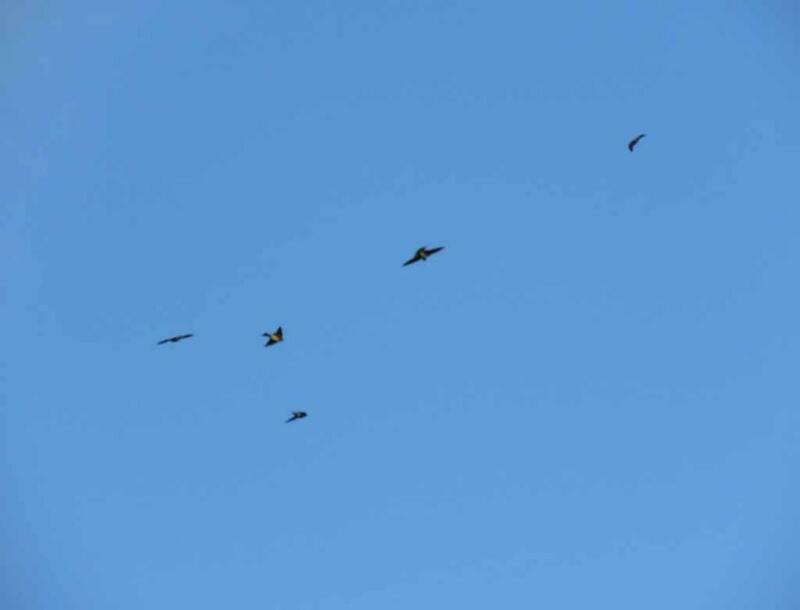 May be these three hawks were on their way migrating south.